Plant Therapy® is owned and operated by Chris and Amanda Jones raised near Twin Falls, Idaho, USA, with four daughters. The mother of Chris was a certified aromatherapist and he realized there was a need for a distinct essential oil company with superior products that everyone could enjoy at a modest price. These two entrepreneurs had a vision and mission to be the largest company with loyal customers who kept coming back—and so they did. Plant Therapy® is not an MLM (Multi Level Marketing) company. There’s a lot to be said for that in their fair and low prices. The benchmark for the Plant Therapy® excellence is strict. They will never sell essential oils without testing to know they are 100% pure for the consumer. No one wants to buy watered down or fake oils. The world famous essential oil specialist, Robert Tisserand, whom I admire, is the primo liaison at Plant Therapy®, utilizing a number of analytical labs. We have all come to know and rely on the therapeutic grade essential oils from Plant Therapy®. They do not use GMO (Genetically Modified Organism) oils and are GMP (Good Manufacturing Practice) certified using sustainable farming. Analyzing individual molecules of the oils in the plants is done by GC/MS (Gas Chromatography Mass Spectrometry) testing for the best quality essential oils on the market using no fertilizers and are USDA Organic. For your trust and safety, the plant oils have been tested by a third-party laboratory using Gas Chromatography Mass Spectrometry (GC/MS), a method of separating the volatile compounds in essential oils into individual components. The Gas Chromatography uses a computer that produces a linear graph that charts individual components for purity. Plant Therapy® is concerned with our health and safety using their products, and I value this as will you. The oils made from flowers, seeds, twigs, leaves, roots, and bark are made from global farms and distillers who also attest to the purity of the essential oils. You will notice the batch code on the bottom of each bottle. Go to the oil you purchased on its page and see your batch number for the test result. You will see the third-party GC/MS test results signed by the chemist. This assures you of the quality of the product you bought. The labels show the Latin scientific name of the plant, ingredients, and a label on the top lid. Are You an Essential Oils Fanatic? 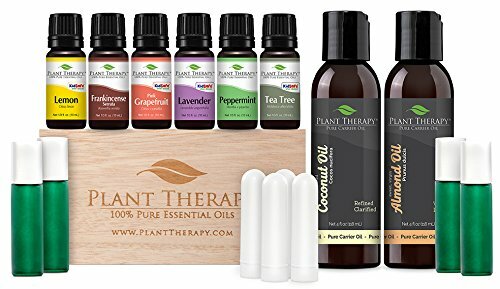 To be a fanatically addicted essential oil user, we all want to know the status of the company we are buying from and Plant Therapy® enjoys a fabulous reputation. Knowing their story helps us understand and appreciate their arduous journey getting to their place in the essential oils world. It’s not easy venturing into this type business with all the demands for quality products. Essential oils are used by lovers of aromatherapy in their homes, offices, hotel, and bank lobbies, and by massage and physical therapists. Use the oils in diffusers or as a massage for wellness as aromatherapists do. For your adventure with your senses, try all of the Plant Therapy® oil creations in singles, blends, roll-ons, carrier oils for massage, accessories, and more. The Jasmine Absolute® (Jasmine sambac) is so exotic I have few words to tell you. You must try this oil that is KidSafe® too. I use it in my ultrasonic diffuser using water and with my no water in my nebulizer diffuser too. The flowers from the Jasmine in India are better smelling than my Jasmine bush in the garden here climbing a tree. It blends well with other oils such as Bergamot, Clary Sage, Balsam and many more and can be added to carrier oils for a heavenly soothing massage to relax you. Add a few drops to your ultrasonic diffuser or fill the bottle with this oil in your nebulizer diffuser. The floral scent will lift your mood on a cloudy day and you can add a few drops to your bath water to refresh your skin and senses. Dilute it at 0.7% for topical applications. Use it to sooth sore throats when someone is coming down with a cold. For more KidSafe® products, go here where you will also see Gift Certificates for friends and loved ones. And see KidSafe® Lil’ Stinkers™ aroma plush animals at the bottom of the same page. They are adorable! The Plant Therapy® Synergy Blends will boost your mood, and I like the Bouquet™ blend because of the ingredients used. It comes in a large 30 mL bottle that works together with your energy for relaxation and health. The floral aroma of Lavender and Palmarosa blended with the crisp and bright notes of Lemon and Mandarin plus a final blend of Ho Wood will give you nice air to breathe in and uplift your mind’s clarity. Stop using chemical spray room fresheners and start using essential oils for a genuine plant fragrance and add a few drops to a spray bottle with distilled water and spritz linen and clothes closets with a surprising fragrance when you open the door. Plant Therapy® produces roll-ons for adults and kids too. This 10 mL pre-diluted roll-on is exactly what you need for a mid-day boost. That’s how I use it at my office—the slump of late morning and after lunch. This is a gem—Frankincense (Boswellia carteri) also known as (Boswellia sacra) from Somalia. It’s been used by ancient cultures and in Chinese Medicine for swelling, bruising, and when you have soreness and pain from traumatic injuries. It is especially beneficial for mature skin including the face using with creams. It’s a medium strength, not overpowering, yet delightful of a green, balsamic, lemon-wood fragrance. It will mix well with Bergamot, Cedarwood Atlas, Clary Sage, Coriander Seed, Jasmine Absolute, Myrrh, Nutmeg, Orange Sweet, Pine Scots, Sandalwood Australian, Spruce Hemlock and Vetiver. Toss a roll-on into your purse or gym bag for a refreshing scent when you need it on your feet, neck, and wrist. Keep one at your desk when at work when you start to feel tension from the day. This starter kit above with many incredible products will get you off and running for an inexpensive price with a genuine wooden box included to organize the oils and keep them in the dark. The 100% pure essential oils in the kit are six of the Plant Therapy® best-selling single oils in 10 mL bottles. You will get sparkling Grapefruit Pink and Lemon, soothing Lavender, stimulating Peppermint, indispensable Tea Tree, and the dreamy Frankincense serrata. The set also contains four frosted green roller ball bottles and four personal inhalers for on-the-go aromatherapy whenever you need it! 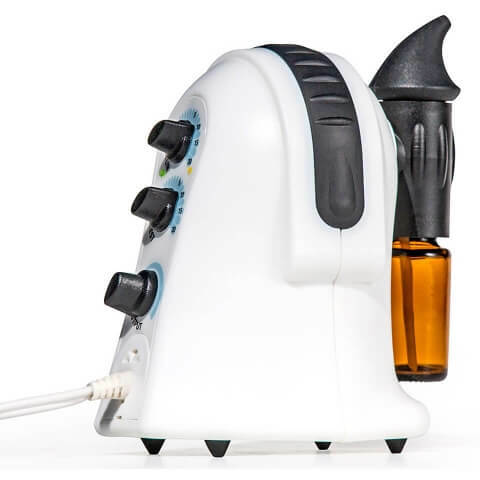 More collections are shown for you checking out and the Essential Oil Starter Set with Aromafuse Diffuser in pearl white or wood grain is an outstanding affordable purchase for beginners or advanced users. 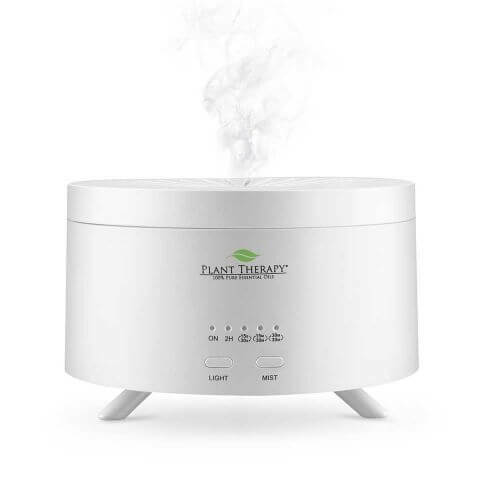 Separate diffusers from Plant Therapy® are shown here. 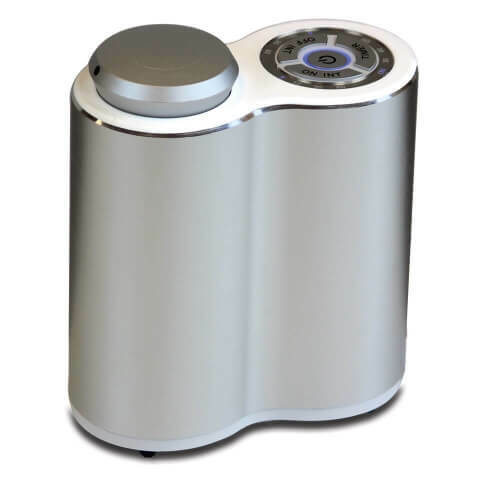 I particularly like the Pureness Aromatherapy Diffuser in pristine white and the coolest shape! It is adorable to look at and easy to use. It does not splash or spill water and harmonizes with my décor. You will find this on the Bargain Bin at the Plant Therapy® website. 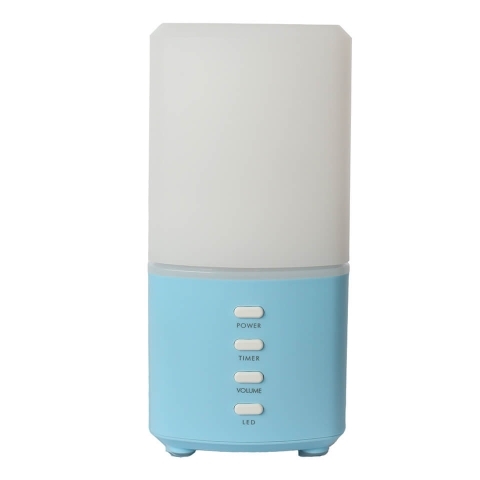 It is a cool-mist ultrasonic diffuser using no heat and is super quiet. It holds 150 mL of water to cover 200- to 400-square feet with timer and lights. Accessories are always desirable when you have essential oils to stay organized. A wooden box is an absolute essential for keeping your oils organized, out of the sun, and in a dark place. The wooden box shown here holds 55 various bottle sizes. The box is lightweight, has the Plant Therapy® logo on top and will store 24 each 10 mL bottles, 16 each 10 mL roll-ons or 15 each 30 mL bottles. You can also buy boxes without the logo if you prefer. It’s a natural wood and can be painted or stained as well. The box is about 13-inches wide x 10-inches front-to-back and 5-inches tall. It has a latch to keep it tightly closed to take with you with nothing falling out. You will find products for men for their body, beards, and moustache that are not greasy being all natural. Men like to pamper themselves as women do but I don’t think they like the word, pamper. The better word for men would be groom or spruce up! Men’s beards will feel healthier and revived. It will not make them feel hot during the summer and their hairs will not freeze with this balm. Use it whether you are a new beard grower or have grown a beard forever. This is made in-house by Plant Therapy® and will stop itchy dry skin under your beard. The skin healthy ingredients are Beeswax, Shea Butter, Almond Oil, Jojoba Oil, Argan Oil, Cinnamon Cassia, Sandalwood, and Vitamin E. Men will love this product! Plant Therapy® does have a Rewards Program where you can use your rewards the same as cash towards future purchases. Simply register as a customer at their website. You do not need to buy minimum purchases of products and you can redeem the points you have accumulated after you get to 500. Read more about the program here. You can also join the Plant Therapy® Wholesale Group if you have a business here. To qualify you must agree to sell, market, and distribute the Plant Therapy® products in a retail store. You cannot sell on Amazon, eBay, Etsy, and other websites. If you are interested in selling Plant Therapy® products online through your own personal website, please contact cs@planttherapy.com for approval. My endorsement for Plant Therapy® is a summing up of what they do and offer. They get high ratings for reasonably priced products. I hope this has been helpful to you. Contact them by phone or email with your questions, concerns, comments, and return policy at the bottom of any page. I like that their site has a search box to get around easily and quickly.